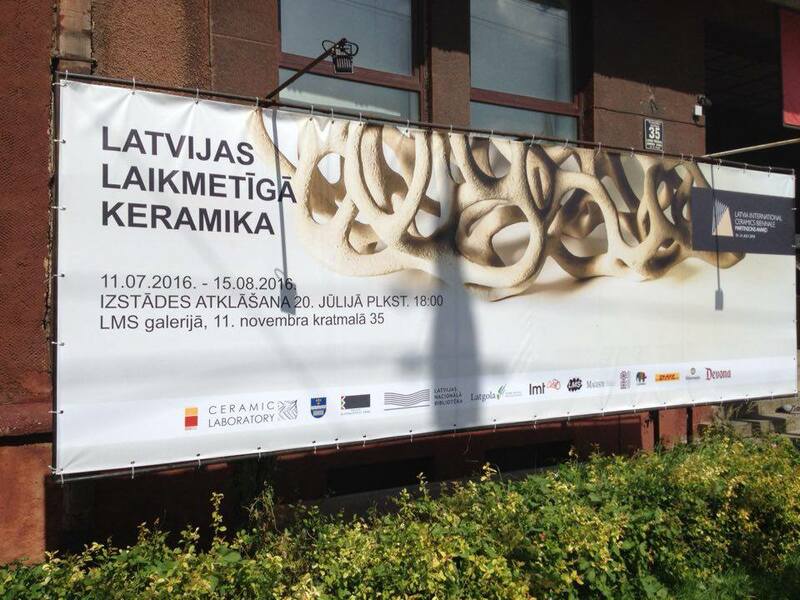 Latvian Contemporary Ceramics and Ceramics of Ķīpsala, two exhibitions within frames of the 1st Latvia International Ceramics Biennale have been set up, and are already available for visitors. Latvian Contemporary Ceramics, the exhibition at Gallery of Artists’ Union of Latvia is aimed to bring into light the significance of ceramics as a contemporary art medium and its place in the Latvian current art and culture scene. Therefore the greatest Latvian ceramic artists were invited to participate in the exhibition. They represent various generations of ceramics overall and have been successful in Latvia as well as are internationally recognized Latvian ceramic artists. Latvian ceramic artists Sanita Ābelīte, Skuja Braden, Valda Podkalne, Juta Rindina, Ilona Romule and Elīna Titāne, participate in the exhibition. Curators – Valentīns Petjko, Māris Čačka. Opening on July 20, 6 pm, at Gallery of Artists’ Union of Latvia, 11. novembra krastmala, Riga. Ceramics of Ķīpsala, the exhibition at Riga Technical University Gallery. Ceramics of Ķīpsala – the phenomenon of Latvian art and culture of the second half of the 20th century, that has formed several generations of ceramists and has enabled strengthening of Latvian traditions in ceramics and the contemporary ceramics in Latvia in general. This was a bridge that linked the traditional and professional ceramics, taking the best from both sides. Our golden age artists – Inese Āboliņa, Skaidrīte Cihovska, Violeta Jātniece, Izabella Krolle, Kornēlija Ozoliņa, and Silvija Šmidkena – participate in the exhibition. Curators – Valentīns Petjko, Māris Čačka. Opening on July 20, 3 pm., at Riga Technical University Gallery, Ķīpsalas str. 6, Riga.